The Warrior Athlete path is for the person who strives to be the best. The Warrior Athlete Program is the most distinguished program at the Tactical Arts Academy. It is a path of mastering martial arts, being strong and really fit. With a combination of martial arts and strength and conditioning, you will not only have the training and knowledge of a Fighter, but also the body to perform at a higher capacity like an Athlete. You will be ready for anything. 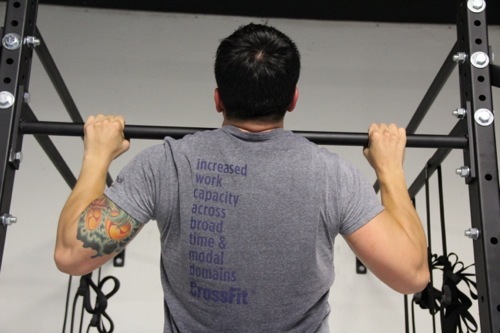 In the Warrior Athlete Program, you will have access to all our classes. You will have the opportunity to regularly learn new skills, develop impressive physical attributes and reach a higher standard. We will provide you with all the support and resources you need. 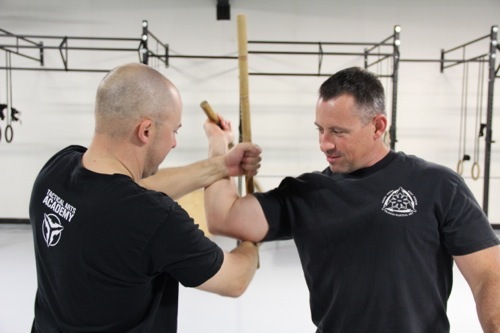 Our instructors have regularly trained with the grand masters of our martial arts programs and top instructors from the firearms, self defense and fitness communities. For many years, we have been turning regular people into leaders who inspire others by example. You don't have to be a badass already to become a Warrior Athlete, you just need to have the desire. We will start you with just the right challenge for you and guide you from where you are to where you want to be. Together we can customize your path to fit your goals and keep you engaged so you can live up to your potential. 1-3 hours per day, 3-5 days a week. The pace is up to you. Attend any or all of our classes at your convenience. Classes meet Monday through Friday. Classes are held at the Tactical Arts Academy in Austin, Texas. Taught by Master Instructor Leslie Buck and certified Tactical Arts Academy instructors. Contact us today and schedule a FREE visit. You’ll learn more about Tactical Arts, you’ll have the opportunity to watch our classes in action, and you’ll discover if our training is right for you. Chief Instructor Leslie Buck has decades of experience in martial arts, self defense and fitness training. He holds the rank of Tuhon (master) in Filipino martial arts, and is a firearms instructor with many certifications. He has consulted as an instructor for the Philippine Armed Forces, the US Army and US Marines. Leslie also teaches law enforcement for many departments both large and small in Texas. He has spent the last 12 years operating Tactical Arts Academy so that he can help private citizens like you learn to protect themselves and get fit.